At least twice a year, we pop down to Cannes to visit John's parents. Once during the Summer holidays and at least another time during the Spring school holidays when John's daughter breaks for two weeks. 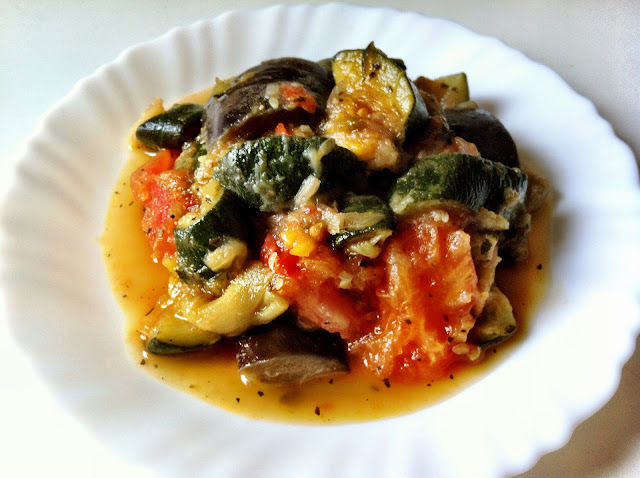 We started with a classic French Provençal recipe - ratatouille, a really simple slow-cooked vegetable stew of eggplants, zucchinis, capsicum and tomatoes that is typical to French cuisine in general as much as it is typical to the Provence region. John's Mum has simplified her ratatouille recipe over the years to require less oil, less time and less effort (woo hoo!) while not compromising on how a traditional ratatouille is meant to taste like. 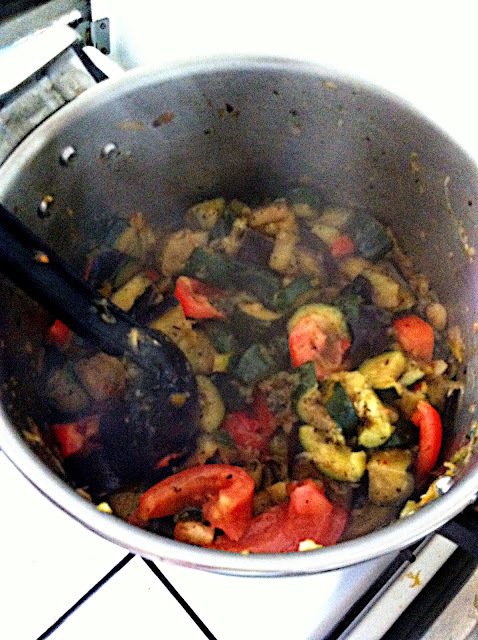 The success of a good ratatouille she says really comes down to the quality of its ingredients. 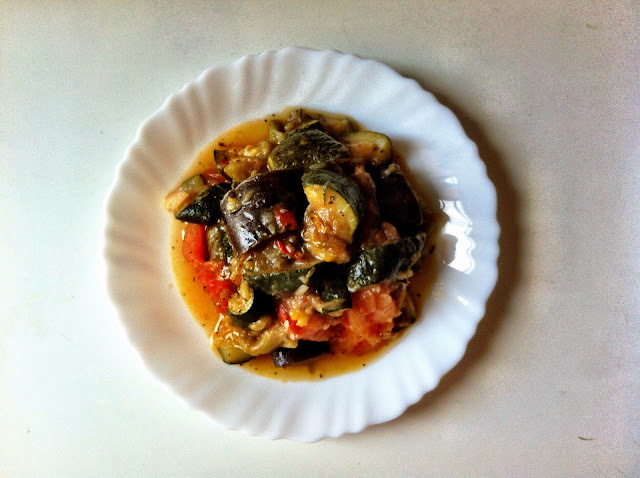 Good quality olive oil, juicy red sun ripened tomatoes, flavoursome deep-coloured eggplants and zuchinni and sweet brightly-coloured capsicum. This I learnt too well during my extended time based in Rome last year. You can really notice the difference in the taste of good produce when you are based in an area where it is more accessible, where people take it seriously, where there is more sunshine and obviously better natural growing conditions. Even the supermarket produce in Rome was better than that of supermarket Paris. I suppose maybe because there was a higher chance of finding hydroponic/artificially grown tomatoes in Paris than in sunnier Rome..? French ratatouille purists will insist on cooking the vegetables separately before merging everything together however John's Mum has done both over the years and she was happy popping everything in the same pot, as long as you paid attention to the correct order in which the vegetables were added to avoid one vegetable getting too soft before the others. 1. In a large pot add 3 tablespoons of olive oil to gently sauté onion and garlic. 2. Reduce heat soon as onion and garlic have started to brown, add sliced capsicum. 3. 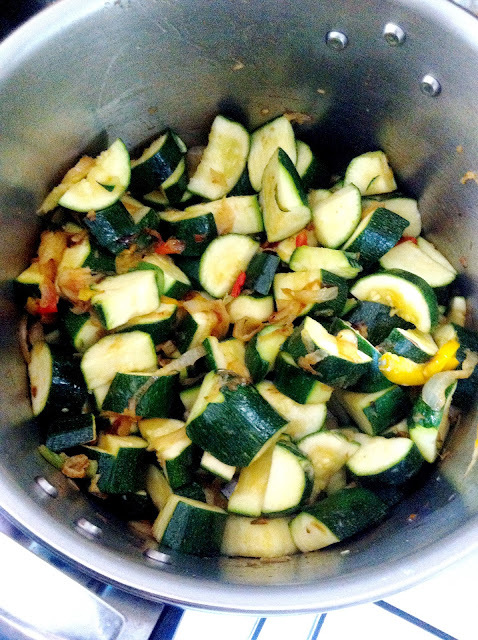 After about 5 minutes, when capsicum has started to wilt and reduce, add zucchini in big chunks. 4. Add some salt to taste. 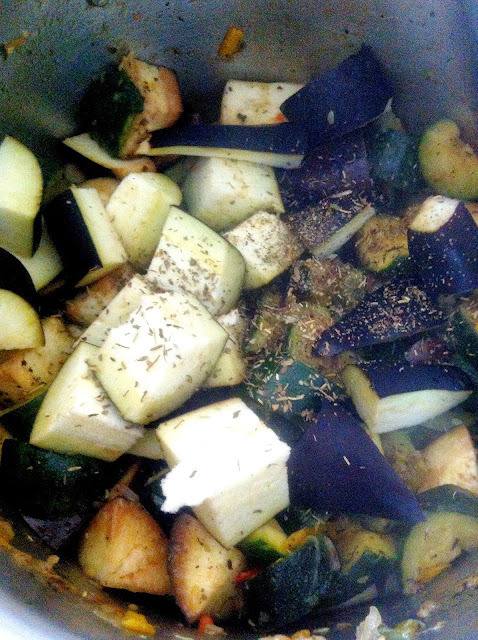 After 5 minutes or so once the zucchini has softened, add chunks of eggplant. 7. 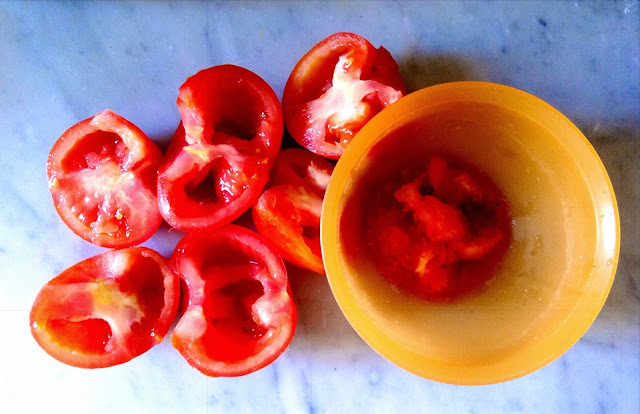 While the eggplant is slowly cooking with the herbs on low heat, prepare the tomatoes. 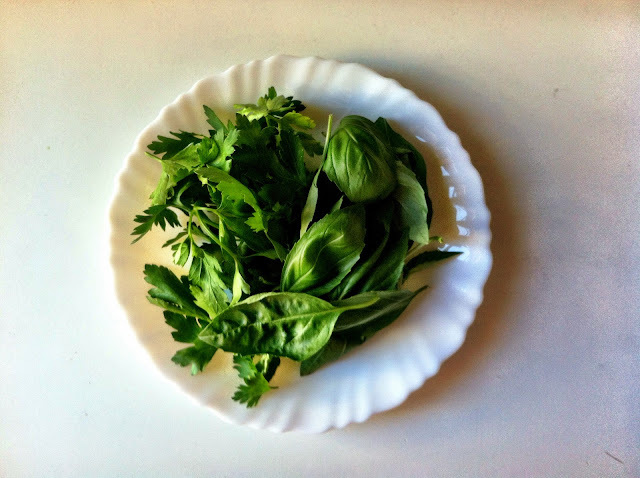 Remove the seeds and juice and put aside in a bowl. Cut tomatoes into large chunks. 8. Add chunks of chopped tomato and stir ratatouille gently being careful not to break up the pieces of soft zucchini and eggplant. 9. If the ratatouille needs more liquid, add tomato juice and seeds from before. If it still needs more liquid, add some water. 10. Taste and add salt if required and gently simmer over low heat until vegetables are soft. A slow cooked Provençal ratatouille recipe that gently brings out all the flavours of different vegetables to fuse and melanger. 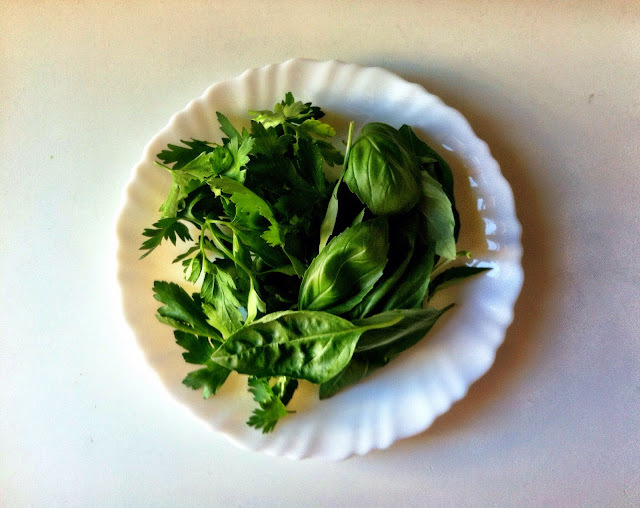 Rustic Summer French cooking at its best. Simple, light yet hearty and most importantly (for me at least), easy peasy to put together. 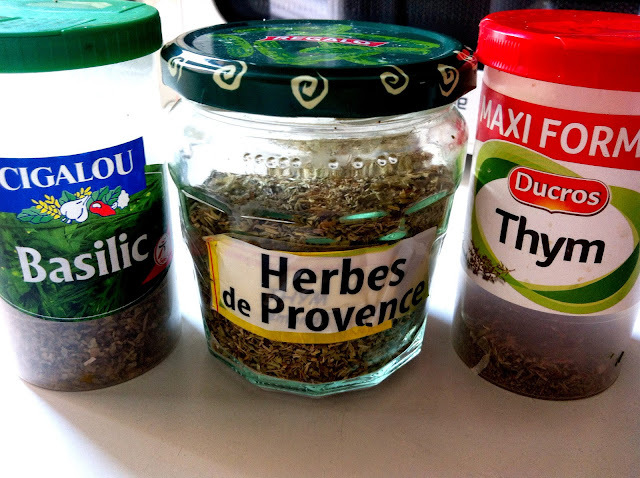 You can eat it as a side with rice or pasta, served simply with some seared fish or chicken, or even on its own with crusty bread to dip in and mop up those flavoursome juices.